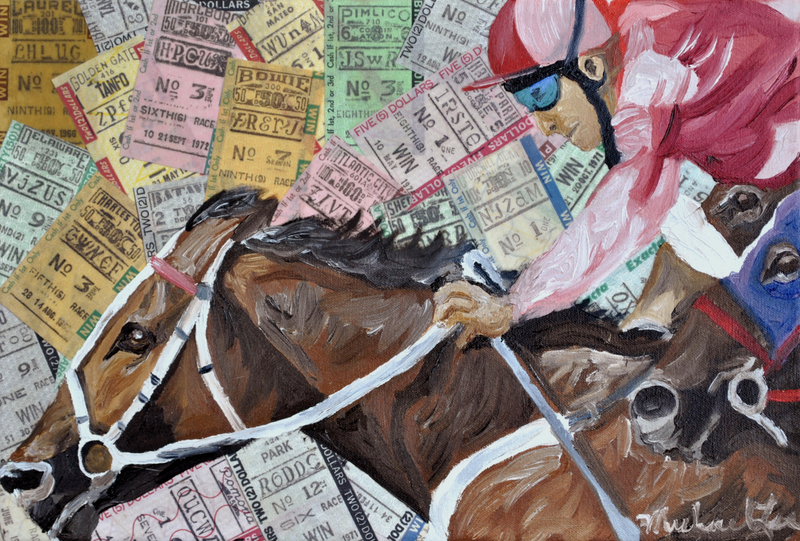 I painted this a part of my very popular horse racing mixed media series. This style and series is unique to me I created it and I am the only person painting in this style. 5" x 7.5"7" x 10.25"9" x 13.25"11" x 16.25"13" x 19.25"13.5" x 20"